Opening Hours Reception 8/19/18 1-4pm. Show/library hours: M-Th 9:30-8, Fr&Sa 9:30-5, Su 12-5. 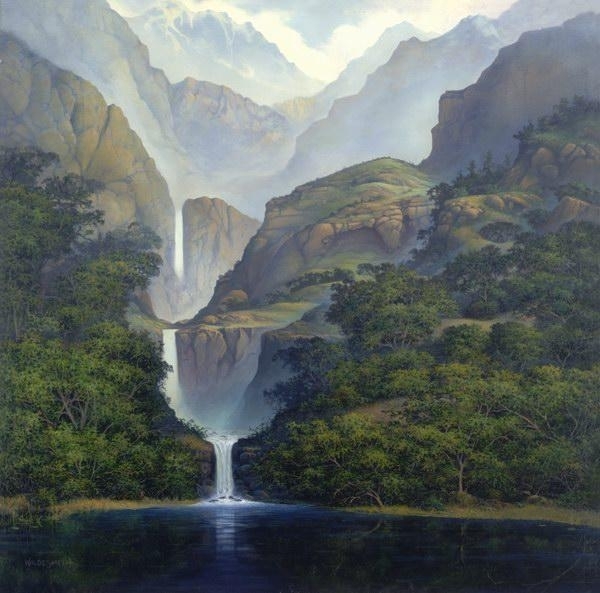 Event Description Sidney Wildesmith's solo show at Encinitas Library-- romantic luminist landscapes as well as contemporary works and some early pen-and-ink renderings, reflecting his passion for the wonders of our earth. Opening Hours Reception is 2:00 to 4:00 on Sunday, Aug. 19. Opening Days Reception is 2:00 to 4:00 on Sunday, Aug. 19. 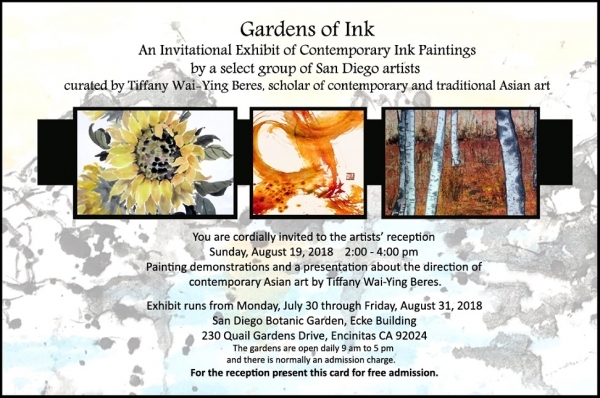 Event Description An invitational exhibit of contemporary ink paintings by eleven San Diego artists, curated by Tiffany Wai-Ying Beres, scholar of contemporary and traditional Asian art. Reception is free. Refreshments will be served, there will be demonstrations and a presentation by Ms Beres.